That is really rare that I like a place so much. 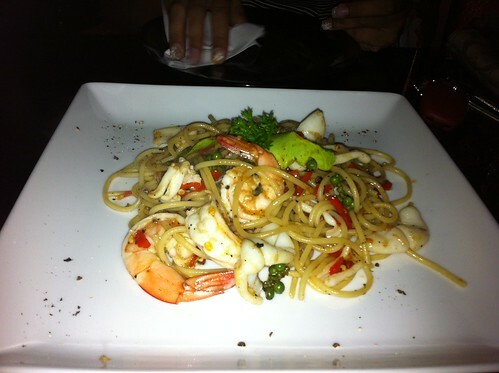 I go eat all the time to restaurants, but I really like that place: Cafe 16 in Korat. The place is opened from 10 am to 11pm, as it is written. Inside is quite nice, and they normally have good music. There is also a terrace outside. The menu is simple: mostly pasta. But the pasta are delicious and not expensive. About 95 baht for Carbonara, or 100 baht for a spicy spaghetti with seafood. It seems that the pasta are fresh. The cakes are also very good, especially the cheese cake (95 baht?). They do not have the same everyday. Carrot cake (90-95 baht) and brownies (50 baht) are put in oven before they serve it to you. The service is not perfect. Once, I had to knock on the kitchen door because nobody saw me entering in the afternoon. But this is really not so big if you still can eat a very good dish, with good quality, at 100 baht. 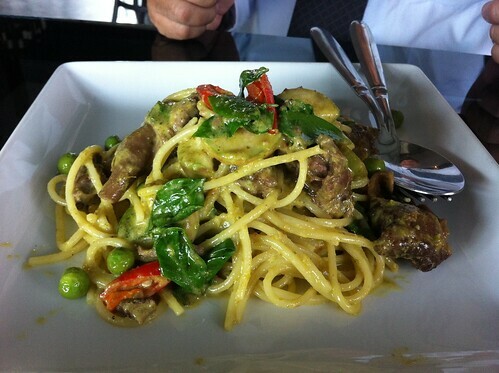 Carbonara are fantastic for Thailand. Many thanks for the info. My wife love it. I heard a good report of this place from an American chap last week, when I was in Korat. I'll make a point of trying it out when I'm in town in December. Think deeply, speak gently, love much, laugh aloud, work hard, give freely and be kind. The baked spinach with cheese is really good as side-dish or appetizers. About 85 baht.